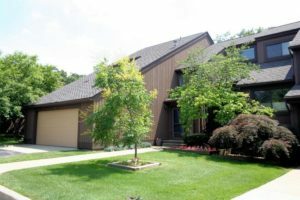 Northbury is a great Ann Arbor complex situated among the beautiful terrain of mature trees, rolling hills and ponds. There is currently 1 condo listed for sale and so far this year, 6 have sold. $399,000. 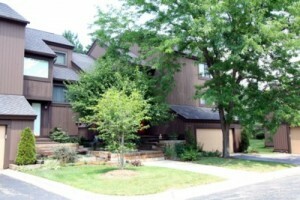 1 Haverhill Ct., Ann Arbor. 2056 sq. ft., + 914 in the finished lower level, 4 bedrooms and 2.1 baths. $434,000. 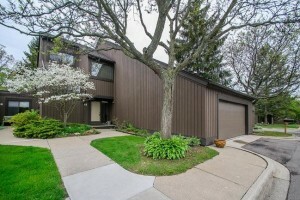 4 Northwick Ct., Ann Arbor. 2292 sq. ft., + 600 in finished lower level, 3 bedrooms and 2.2 baths. $369,900. 28 Southwick Ct., Ann Arbor. 2425 sq. ft., + 1218 in finished lower level, 4 bedrooms and 3.1 baths. $339,900. 1 Northwick Ct., Ann Arbor. 2056 sq. ft., + 914 in finished lower level, 5 bedrooms and 3.0 baths. $324,000. 15 Eastbury Ct., Ann Arbor. 1460 sq. ft., + 678 in finished lower level, 2 bedrooms and 2.1 baths. $313,000. 14 Haverhill Ct., Ann Arbor. 1616 sq. ft., + 612 in finished lower level, 3 bedrooms and 3.o baths. Last year at Northbury, 8 condo sold with an average sale price of $366,500 and an average price per square foot of $218.00. The 6 condos sold this year have an 363,467, down slightly, and an A$/SF of $181.00, also down slightly. To learn more about condo values at Northbury, contact the real estate specialists with The Bouma Group at (734)761-3060 or email info@bouma.com. View more Ann Arbor condominiums here! 2425 sq. ft., +1218 in finished lower level, 4 bedrooms and 3.1 baths. Soaring vaulted living room with cozy fireplace adjoins the dining room and opens to the deck. First level master bedroom suite has a private bath, walk-in closet, and balcony. Finished lower level has a wet bar, fireplace, bedroom, full bath, and walks out to a patio. To request a private showing for 15 Southwick Court, or to learn more about Northbury condos, contact us at The Bouma Group, Realtors today at 734-761-3060 or email info@bouma.com. Northbury Condos, Ann Arbor are a collection of contemporary styled units located on the north side of town. The setting is beautiful, with rolling hills, mature trees, and lovely landscaping. There are currently 2 condos listed for sale and in 2011, 3 condos sold, and 1 was rented. $239,900. 2056 sq. ft. +914 in finished lower level, 4 bedrooms and 2 baths.